Sicilian gastronomy has ancient traditions, since its history, and that of the people who have inhabited it, is one of the most ancient in the world. Its first inhabitants, migrants and invaders, were probably attracted by its exceptional climate and extraordinary fertility. The Greeks, when they first settled on the island, in the VIII sec. A.C. found three different types of people, the Sicilians in the east, the Sicani in the west and the Elimi in the north-western region. The Greek historian Tucidide, author of a history of Sicily that dates back to 425 A.C., gives us the most accurate ancient facts on Sicily. The historical period of Sicily started, therefore, with the Greek colonization (VIII sec. a.C.) in the IV sec. A.C. We already have one of the most meaningful testimonies on the habits and customs of the Sicilians from this great Platone philosopher who, in his writing, criticised the Siracusani for their gastronomic habits: they ate too many times in a day! and according to the testimony of this Greek philosopher, such habits were not considered good manners and needed to be refined. Signs that Sicily even in those early days boasted of numerous traditions were more than confirmed. That should not surprise us: Sicily throughout the ages was one of the most fertile islands, because of its geological characteristics and its climate. If we add to that the abundance of game and fish, we are in a position to comprehend how very rich the Sicilian kitchen could be even then. The Arabs produced a real revolution in the gastromic habits of the Sicilians, for example pack-saddles for transporting food and to introduce many unknown drinks to the Sicilians. Above all, the Arabs increased agricultural production: today we are accustomed to associating Sicily as a Goddess of the earth,with oranges and lemons, and the “Conca d’oro” and “Piana di Catania” with the beauty of their green mantle of citrus groves. But it was the Arabs, as we have seen, who first introduced these products to Sicily and because of them, the island still yields exquisite fruit, like the delicate peach or apricot, vegetables like asparagus; other crops like rice and sugar cane, cotton, the carob tree, the pistachio nut and aubergines are all thanks to the Arabic civilization. Also the legendary and perfumed jasmine plants from which their essence is taken, even today, to form the beautiful perfumes of the area, and the most famous “scursunera, were also imported by the Arabs. Moreover it seems that the inventors of the “sorbetto” were also the Arabs, from which the name is also derived: “scharbat“, of “cubbaìta of giugiulena” and “sapete” a cake, made from honey, almonds and sesame seeds, which is still to be found in the stalls of the popular quarters or at the festivities of patron saints. The specialties that follow are only some examples which can be traced back to the Arabic tradition. We must specify that when we nominate a plate as “of Arabic derivation” we do not mean that it has been invented by the Arabs. This may be the case in some instances, but most of the plates known nowadays are elaborations made from the products introduced by the Arabs which means that these may contain elements that are typical of the Arabic kitchen, but are made using different techniques and methods by Sicilians to produce original Sicilian dishes. The kitchen of Acireale is typical of the Sicilian food tradition specialising in exquisite cakes. “Pasta cc’u niuru“: with the black ink of the small cuttlefishes mixed into the tomato sauce. 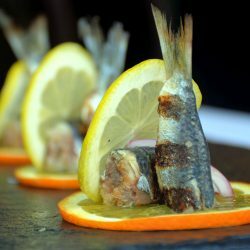 There are the second plates such as the grilled mixed fish flavored with oil, lemon, parsley, garlic and pepper or aromatic herbs; “masculine“, a typical fish cooked in a thousand different ways; fried, raw in salads, barbecued etc. As far as meat lovers are concerned there is the “falsomagro”, a typical plate with bacon fat, eggs , cheese, onion, cooked pepper and all cooked in a tomato sauce. While others prefer the shell-fish: clams, mussels, ox eyes, typical of the restaurants on the coast, whose terraces are full of tourists in the summer evenings. Among the products of Sicily, “scacciata“, a typical flat cake used a lot in the christmas festivities; “Arancine di riso“; “Pizze alla siciliana“, fried and stuffed with cheese and anchovies. Finally, the sweet shop, rich and fanciful. The delicious cakes made from almonds, to the “granita di torrone“, “pasta reale“, made by moulding the paste into different coloured shapes: fruits, fish, puppets, etc. A product very popular in Acireale is the famous “cannoli” and the sicilian cassata, which use the skills of the pastry cooks of long tradition, who enrich them with cream, chocolate pieces, pistachio and hazel-nuts and which are all very difficult to resist. After a day dedicated entirely to relaxation, there are many plates to entice your appetite, from freshly caught fish, made into a pasta dish or, a grilled or marinated second course. In contrast with the sea menu there are the vegetarian dishes. Aubergines, prepared in thousand of different ways, the most common being fried, stuffed, sweet or sour with vinegar or the “caponata” (mixed cooked sicilian vegetables ) eaten all year round. We would advise you not to over indulge with this huge variety of Sicilian fare, we wouldn’t like you to spoil your holiday. To accompany the food we would suggest a fine “Anthilia” white wine, with its intense fragrance, beautiful and complex, with a hint of fruit. Also do not forget the inimitable taste of the Sicilian cheese, the “Pecorino”, cheese which contains a mixture of aromas and can leave a bitter taste, but grated on pasta dishes it creates a particular fresh taste thanks to the pistachio nut. It can also be eaten on its own or cut into slices to be dipped into the famous Corvo wine. A perfect conclusion to a typical Sicilian lunch is the sicilian “cassata“, made up of candied fruit and ricotta cheese all washed down with a fine glass of sweet liqueur, you can choose between the Marsala, Zibibbo and Passito or try a refreshing milk drink made from almonds “latte di mandorla” or a cooling granita (crushed ice) in many flavours, we would advise you to try the pistachio or the almond flavour, or the many other alternatives. And for an unforgettable evening, “le mille ed una notte“, a beautiful wine, a typical speciality of Sicily. In traditional Sicilian cuisine there is an extensive use of fish. Both the great and well-known fish such as tuna or swordfish, or small fish caught with nets or found under sea rocks, are characteristic of the local cuisine. Tuna or sword fish are also used in pasta dishes, while blue and smaller fish are often made into tasty pancakes. One thing for certain is that tomatoes and other vegetables are always part of Sicilian cuisine, creating its unique flavors. At a stone’s throw from Taormina, Sicily’s tourist capital, is the small village of Graniti, of Arabic descent, which is set high in the Valley of the Alcantara River and is famous for its sweet, red cherries. They grow three varieties – Mago, Roman and Acquavena. 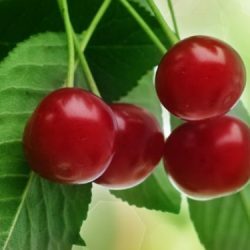 Every year, in early summer, the citizens of this pretty village have a feast dedicated to cherries, where you can taste the fruit or things made from them – ice cream, slushes or cakes. An opportunity to discover the taste of Sicily, and the fascinating itinerary of small villages located along the river Alcantara. A gastronomic link connects France to Sicily. It’s the strawberries of Maletto, a town nestling on the slopes of Mount Etna where, at the beginning of the 1900’s, a strawberry plantation was created for the variety called Madame Moutot of France (strawberry-tomato). 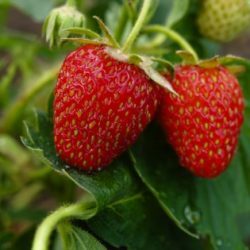 The land of Maletto, fertilized naturally from the mineral components of the eruptions of Etna, produces red, fruity, sweet and fragrant strawberries. Excellently thirst-quenching and rich in calcium, iron and vitamin C, Maletto strawberries are the protagonists in a crowded Festival that attracts thousands of fans from all over Sicily, who come to sample the cakes and ice-creams. The particularity of these strawberries is unquestionably their extraordinary delicacy and fragrance, and the fact that they are free of artificial processes, and, therefore, full of beneficial properties. Mojo Alcantara is a small, lovely village situated alongside the Alcantara river, between Catania and Messina. The purity of its water, fertile soil and the sunny plain on which it lies makes it a special place for the production of these famous peaches. The original Mojo peach is yellow, thick-skinned and sweet, quenching your thirst. 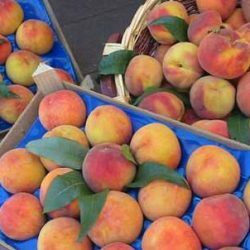 Every year, in summer, there is the famous Mojo Alcantara festival dedicated to this prestigious variety of peach. Pachino is a big agricultural town in the center of the southern end of Sicily, in the province of Syracuse. Pachino is famous in Italy for a variety of tomato, small and red, and for this reason called “cherry”. 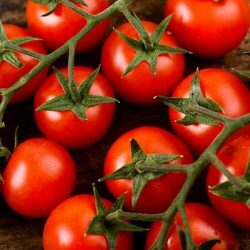 Rich in antioxidants and vitamins, the Pachino tomato is full of flavor and the warmth of Sicily. This tomato is recognized as a protected brand, and is firm, hardy, bright-colored and sweet – ideal for salads or sauces. During a trip to Sicily, you can try it in restaurants or buy it in markets. A Sicilian cheese that is just as good as the famous Grana Padano is the caciocavallo, now recognized as a protected brand. It’s a hard cheese made from cow’s milk mixed with rennet or lamb’s milk, with an unmistakable, spicy taste. The Hyblean plateau, near the Ragusa area, marked by stone walls and lush green trees of carob, is full of cows such as the Brown Swiss Holstein, which over time have replaced the Modica, a breed which has now almost totally disappeared. During our excursion, you will enjoy a taste of caciocavallo. 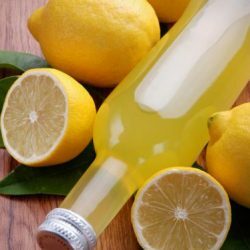 Sicilian limoncello is an after dinner drink with a flavor of summer and the fragrance of this magical land, that recalls the drinks of the peasants of yore. With about 10 lemons, 1 litre of 95 percent pure alcohol, 500 grams of sugar and 1 litre of water, removing the white pith of the lemon that makes the liquor bitter, with this method you obtain a fragrant drink, to be served ice cold, especially during the hot summer evenings. The ”arancino” (or arancina, as pronounced by people from Palermo) is a ball of deep-fried rice which can have a variety of fillings, usually with a base of either tomato or meat sauce. 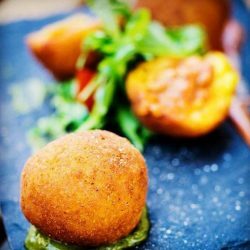 First started as a street food, tasty and fast, the “arancino” has become one of the gastronomic symbols of Sicily, which has become one of the things that tourists in Sicily feel they absolutely must try, along with almond cakes, pizza and “granita”. In the bars they are to be found with lots of different fillings: classic – with meat sauce, with pistachios, or even with salmon. So, between an excursion and a museum visit why not try one of the most traditional Sicilian tastes: your trip will have added flavor. 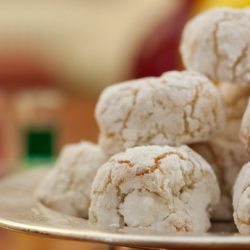 Almond paste cookies are typically Sicilian. Produced by expert confectioners with Sicilian almonds, especially the “Pizzuta” variety from the area of Noto, almond paste cookies, along with “cassata”, are ambassadors for the flavors of the island. They are best eaten with coffee or as a mid-afternoon snack. Some variations include a pistachio or hazelnut base. 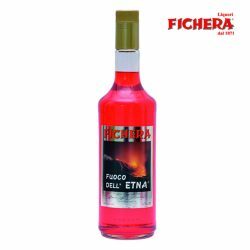 Etna Fire is a very strong liquor, which can get to a gradation of 70 degrees Celsius, obtained from pure alcohol in whichEtna herbs are dipped. It is, rightly, the ‘blood of Etna’, and to taste it during the ascent of Etna means repeating a primordial ritual, which, as the great philosophers experienced while climbing the mountain, shakes the senses and makes us feel the overbearing force of the elements of nature. 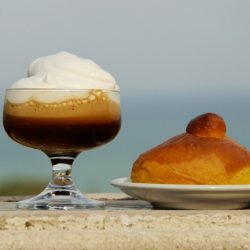 A typical breakfast for the Sicilians from the period of Easter until autumn is the “granita”. It is more like crushed ice than ice-cream and is accompanied by a warm golden bun in the shape of a beret. “Granita” comes in many flavours: coffee, chocolate, almond, pistachio, or seasonal fruits like lemon, strawberry, mulberry and peach. 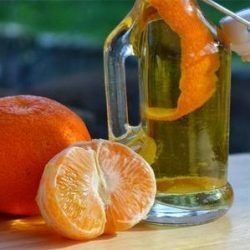 The fragrance of Sicily can be found in the orange Mandarinetto, a variation of Sicilian limoncello, but made with citrus scented tangerines from the island’s gardens. Although the preparation technique is the same, the mandarinetto differs from the limoncello because of the use of cinnamon in its production phase, an Arabic tradition, dating from when they brought the use of spices to Sicily. Unlike the limoncello, the mandarinetto is characterized by a slightly bitter taste, diffused by the sweet cinnamon. An ancient Sicilian tradition says that the mandarinetto should be offered to the fiancé and his family, when he comes to ask for the bride’s hand in marriage. Marsala wine is a fortified wine produced for centuries in the province of Trapani, discovered by the English trader John Woodhouse in 1773, who with British funding began its industrial production. In fact, the entrepreneur began by supplying it to the British army, selling it as a medicine to get around the alcohol ban set by the administration. The traditional method used by locals is to add a part of the old wine to that of the new production each year. In 1833 the entrepreneur Vincenzo Florio, from Palermo, began producing Marsala wine in competition with British companies, and founded the Florio wine cellars. In 1931 a special law was made to protect the original wine from any imitations. Marsala wine was the first DOC wine known in Italian history. At the beginning of the summer, the countryside between Trapani and Paceco, along the western coast of Sicily, is tinged with yellow. It is the color of special melons, the melons of Paceco, or winter melons, because they can be found well beyond the autumn season. 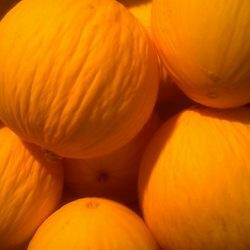 Medium in size, these melons are pretty hardy, with an intense yellow color, and rich in water, potassium and vitamins A and C, containing yellow seeds. These melons also contain calcium, phosphorus and iron. This was a favorite food of peasants during the hot summers. While on holiday in Sicily, a slice of yellow melon from Paceco can be very refreshing. Pantelleria, in the heart of the Mediterranean, between Sicily and Africa, is called the “island of wind”. The Sicilian “cannolo” is, alongside the “arancino”, a culinary symbol of the island. Made from a fried crumbly dough and filled with ricotta cheese, it has many variations depending on where it is produced. It can be made with a lot of sugar and coloured with candied fruit, as used in the Palermo area, or enriched with the flavor of pistachio in the Etna area. The Sicilians usually eat “cannoli” at the end of a meal with coffee, or sometimes as a special treat for breakfast. 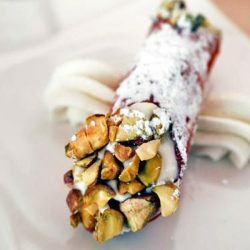 Whenever you eat it, the “cannolo” will remain one of the sweetest memories of your trip. What is it about the Mediterranean diet which makes Italians live longer? 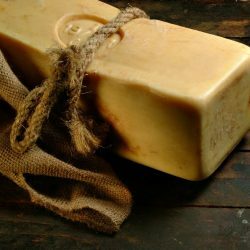 It’s the use of olive oil, which replaces the animal fats used regularly for everyday cooking in the rest of Europe. And Sicilian olive oil is an excellent product. Both the ones produced along the western side of the island, in Trapani, and those produced in the south east, in the countryside between Siracusa, Ragusa and Agrigento, all have unique characteristics. 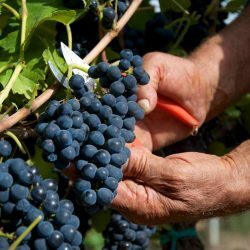 The most popular varieties Nocellara, Biancolilla, Cerasuola and Moresca, some strong and fruity, others a bit spicy and intense, are still collected by hand where huge canvas covers are placed at the feet of these noble trees. The pressing takes place in the cold, in order not to alter the organic properties of the oil – a secret which has made Sicilian oil special since its birth. 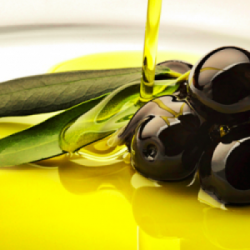 Therefore, going round Sicily, going to restaurants encourages us to dare ask for a little olive oil to drizzle onto a slice of warm bread as an antipasto. This would be a surprise for the restaurant owner and a delight for your taste buds too. They call it the green gold of Sicily. It’s the green pistachio nut from Bronte, a busy town in the province of Catania, clinging to the flanks of Etna and with a view across to the Nebrodi Mountains and down to the slow flowing Simeto river. It’s a special pistachio nut, emerald green in colour, and thrives on this lava-enriched earth, which gives it a strong and decisive taste. 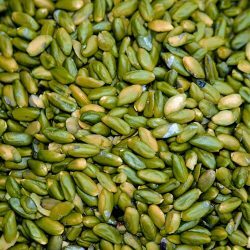 The Bronte pistachio is therefore rare and, for that reason, expensive: the harvest is slow and difficult, but the nuts have a special quality. Used in cooking, they give a wonderful taste; they flavor the salami made from the black Nebrodi pigs; they give a perfect colour to “graniti” and ice-cream; they embellish the almond paste cakes that are such a pleasure to eat. 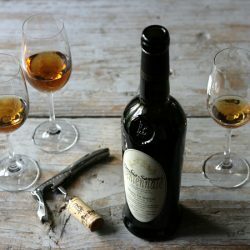 Sicily’s wines used to be regarded as “vini da Taglio”, in that they were used to boost the alcohol content of wines from other areas but, today, although not all have acquired the fame of the fortified wine of Marsala, Sicilian table wines and DOC. wines such as Alcamo, Nero d’Avola, Etna Rosso, il Corvo and Regaleali are delights in store for anyone who has not had the opportunity to taste them. 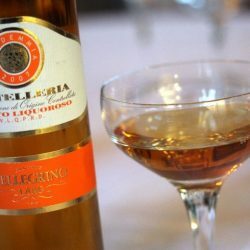 In addition to Marsala, dessert wines made here include Moscato di Noto, Passito di Pantelleria and Malvasia di Lipari. 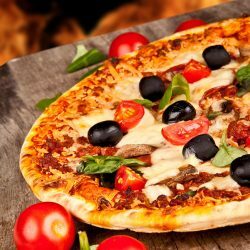 Pizza is the most popular food for foreigners on holiday in Sicily. It was invented by the Neapolitans in homage to Queen Margherita, at the time when the Kingdoms of Naples and Sicily were united, and thus was brought to the island. 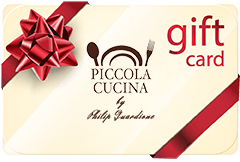 The imagination of Sicilian pizza-makers is well-known: there is the classic pizza with mozzarella and tomato, and other, more complicated choices – sometimes with ingredients from the countryside like sausage and mushrooms, other times with seafood, like mussels and clams. A classic pizza is the Norma, with aubergines and salted ricotta cheese: “La Norma” is one of the most famous operas by Vincenzo Bellini, who lived in Catania in the 19th century. Even today, when something works out exceptionally well, the Sicilians have a saying: “fatta a norma”. Sicilians love coffee. It’s a custom that starts the day and, in bars all over the island, you will always find locals taking a break or chatting with friends over a cup of coffee. This is because coffee in Sicily is more than a tradition, it is a ritual. It is not by chance that there are at least ten big factories roasting and packaging coffee on the island. 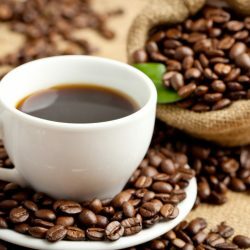 This coffee, different from the American brands, Is black, small and very strong: it is drunk quickly and gives an immediate adrenalin kick. Sitting at the bar of a small Sicilian town, we can experience the unique pleasure of an Italian coffee, chatting with the people at nearby tables, especially older people who have a great experience of life without having ever left their island, and talking about Sicily, its traditions and, of course, its coffee.